As Catholics, we believe that every person has a fundamental right to food, shelter, education, healthcare, and a job. We believe in social justice… and that economies exist to serve people, not the other way around. Today our Maryknoll missioners live the teachings of our faith in nearly two-dozen countries where poverty is destroying the fabric of community life. Father John Barth, M.M. makes regular food deliveries to his parishioners in South Sudan where people are starving from famine and the cruelties of civil war. 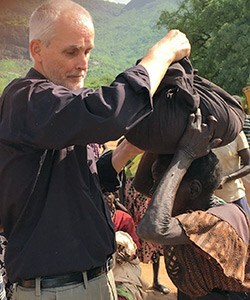 At great personal risk, Father John drives into nearby Uganda, buys as much food as he can, and then drives back to South Sudan. “I want to be Christ’s healing presence here,” he says. 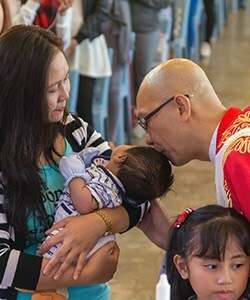 In Taipei, Taiwan, Father Joyalito Tajonera, M.M. advocates for migrant workers who are often forced to work long hours under abusive conditions. His center, open to all, is a safe haven for workers who are frightened and alone. “We make it clear with those in positions of authority. Everyone must be treated with dignity and respect,” says Father Joyalito. Maryknoll cares about witnessing our Catholic values in ways that support the dignity of all life. The moral test of any society is how it treats its most vulnerable… the sick, the poor, the elderly and disabled, and people who are just down on their luck. 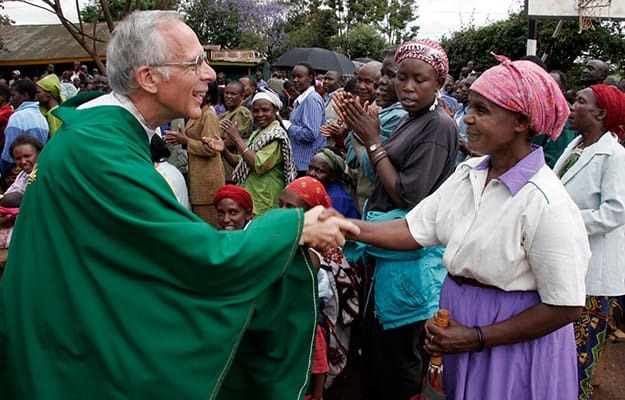 The Catholic Church believes in the social gospel of generosity and compassion. That’s because Jesus taught us that every human being is worthy of respect and redemption… no matter who they are. Help us witness the compassion of Our Lord by example so the Catholic Church will always be a beacon hope for the poor and oppressed. 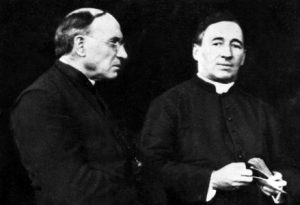 Father Robert McCahill, M.M. 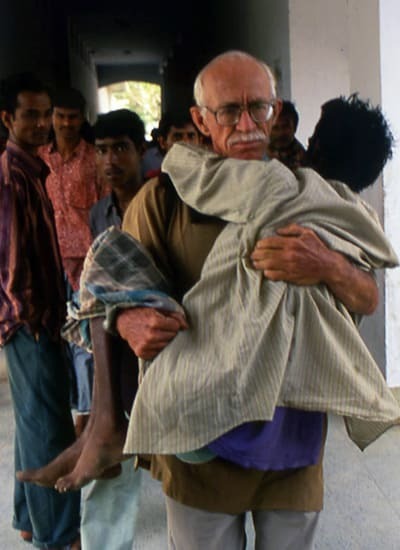 carrying a sick man to the hospital in Bangladesh. Brother Martin Shea, M.M. 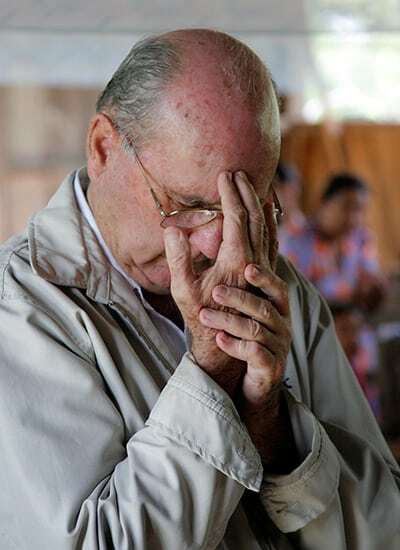 joins the people of Guatemala in prayer. 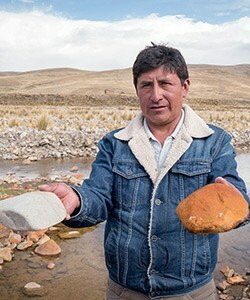 JOIN US and with your gift to Maryknoll, we can be witnesses to Christ’s love and be advocates of Catholic social values and economic justice, especially in the developing world.